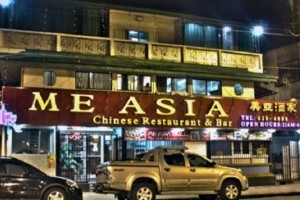 PORT OF SPAIN – Reports of human trafficking, illegal labour practices and unsanitary conditions led Trinidad and Tobago police to crack down on two branches of the Me Asia Chinese Restaurant over the past 48 hours. Eighteen people have been taken into custody following the operations conducted by police, Immigration, and health inspectors. Police acting on a tip first swooped down on the Ariapita branch of the fast food establishment on Monday, arresting one illegal immigrant and nine other people, all Chinese nationals. A statement issued by the Ministry of National Security said the investigations were to “ascertain labour exploitation, immigration and other breaches”. However, a man who was identified as the owner strongly protested, insisting that he had done nothing and his workers were legitimately working in the country. His troubles later intensified after a further inspection of the restaurant uncovered several health violations. The restaurant was ordered closed to remedy the problems. However, a follow-up visit the next day revealed that the operators had failed to comply with the directive. The officials then shut down the food establishment and paid a visit to another branch on Tragarete Road, which was also ordered closed as similar violations were found there. Police detained eight people, including two illegal immigrants and three locals, for questioning. The Counter Trafficking Unit said it was also interviewing several Asian nationals on matters relating to possible labour exploitation under Trinidad and Tobago’s Trafficking in Persons Act.